Some kinds of media just don’t gel with certain language learners. 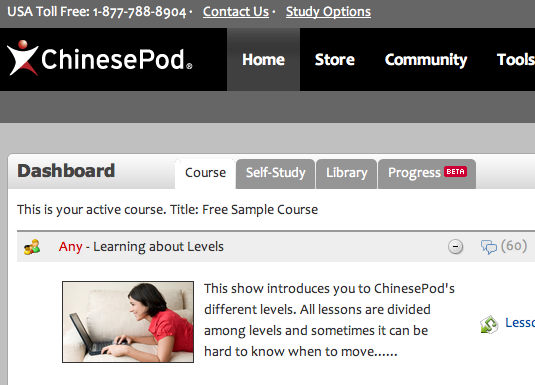 Back in 2010, when I was still studying Chinese in undergrad classes, I gave ChinesePod a try. It just wasn’t for me. It was slow, not interesting and I just didn’t learn anything. But it wasn’t ChinesePod’s fault, it was mine. I took a terrible approach. Here’s why. I wanted to listen to everything, from the start. Looking back now, what a dumbass mistake. I started with some of the newbie dialogues, like “How have you Been?”. I found it so slow and boring. I gave up after listening to two podcasts. Silly me. Now last week I decided to check out ChinesePod again to see if I can get into it. I went straight to intermediate. Didn’t even touch newbie or elementary. I don’t get enough listening/speaking practice here in South Africa, so it’s something I need to work on. The intermediate level is excellent for me. The density of Chinese, mixed with the excellently timed English help from John is brilliant. Now I’m kicking myself for only doing this now. I’m putting the podcasts on my phone now and my morning walk to the lab on campus is exactly the right time for my walk.